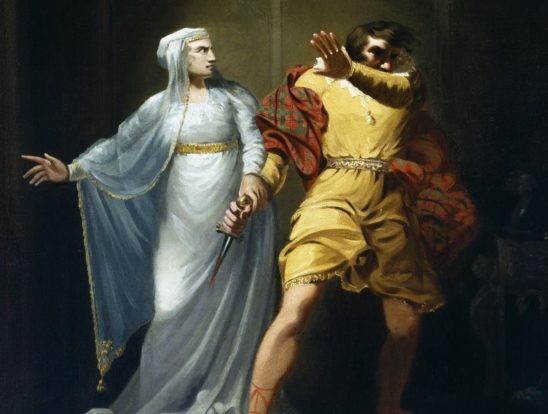 Lady Macbeth drives the story with her intense need for power. Some stories focus on big external conflicts to drive them and use a relatively blank protagonist as the audience’s vessel. But others try to make the protagonist as vivid as possible, trusting them to drive the story. The character has some intense desire or critical flaw that spurs them to action, rather than reacting to an external threat. 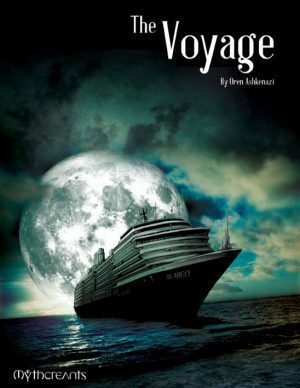 These character-driven stories can be incredibly compelling. Of course, they’re also very tricky. If you’re ever feeling lost, these steps will help you find your way. 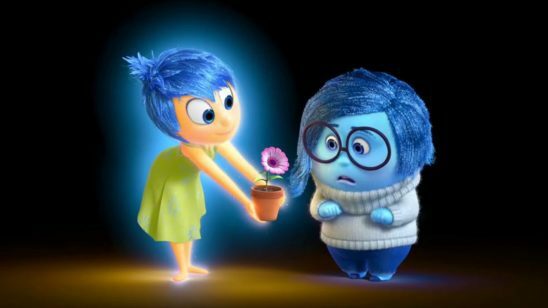 From Inside Out, Joy’s issue is always needing to be in charge and Sadness’ is not valuing herself. The first step is to show the reader what the protagonist’s problem is. This may sound obvious, but a common mistake among stories I’ve edited* is wanting to do a character-focused story and not communicating the relevant issue. Most character issues can be broadly grouped into either motivations or flaws. A motivation means the character wants something. They might be hopelessly in love and desperate to see their feelings reciprocated. They might have been stripped of their prestigious position at court and are now ready to do anything to win their old life back. Whatever the character wants, they must want it strongly enough to take serious action; otherwise their motivation won’t be enough to drive the story. A flaw is some personal problem the character struggles with. Arrogance, hatred, and insecurity are all common. No matter how much the character accomplishes, their flaw will always be there to sabotage them. Sometimes a story begins with the character in a bad place because of their flaw, and they must fight to overcome it. Other times, the character begins high and mighty, but their flaw trips them up and sends them on a dark descent. Flawed characters can have motivations, motivated characters can have flaws, and there’s room for a huge number of variations, but you must decide which element is most important to your story. Establish your character’s issue as soon as possible. Audiences naturally assume that the most important stuff will be established first, so waiting can cause confusion and resentment. “What do you mean I had to wait until chapter five to find out the protagonist was consumed with desire for her town’s blacksmith?” If possible, you’ll want a scene to establish the issue. That’ll be much stronger than simply telling your audience how important something is to the character. Flaws can often be established more subtly than motivations. A motivation is almost certainly known to the character, so it should be obvious. But few characters are aware of their own flaws, at least at the beginning. Even so, the audience should be able to look back and realize that a character’s actions were demonstrating their flaw. For example, if the character wins a fight in the first scene and then crows about it, that can indicate their arrogance. If you’re an outliner, decide at the beginning how your character’s issue will resolve. Will a motivated character get what they desire, or will they learn to live without? Will a flawed character overcome their flaw and earn redemption, or will they fall completely into self-destruction? You’ll need to plant seeds early so your audience will understand why a good ending is desirable or be prepared to accept a sad ending without rage quitting. Your audience won’t automatically know it’s good that your protagonist has walked away from their need for vengeance unless you show how it’s harming them. At the same time, you’ll need to show why a protagonist’s romance interest is worth all the attention if you want the kiss at the end to have an impact. General Nika’s problem is that she can’t accept her husband, Prince Hasan, leaving her. That’s a flaw she’ll need to overcome. The story starts with their breakup scene. There’s someone else in Hasan’s life, and he does the honorable thing by telling Nika. This hits extra hard because Nika’s just gotten back from a campaign, and her marriage was the rock she depended on. Nika is angry and hurt like anyone would be, but she takes it too far when she threatens to use her army to make Hasan stay with her. For that, she is banished from the capital. Her inability to let go will be her defining struggle for the rest of the story. 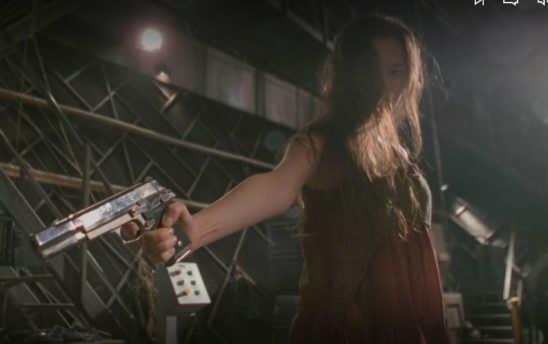 In Firefly, River’s internal problem of recovering from her trauma feeds naturally into the ship getting attacked. The next step is to introduce an external problem that will resonate with your protagonist’s internal issue. Very few stories can be sustained on nothing but the protagonist obsessing over their personal issues. If you try, you’ll likely end up with something like Fifty Shades of Grey, and no one wants that. But you can’t just introduce any old problem and call it a day. That’s another common mistake I run into while editing. 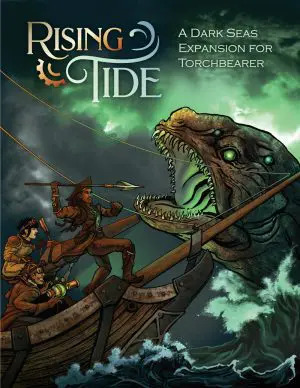 Authors will establish their protagonist’s need for vengeance against the king and then throw in a secondary plotline about dragons invading the frontier. Even if the vengeance plot does reappear at the end, the protagonist has spent chapters and chapters fighting dragons that have nothing to do with the king, so any revenge will be deeply unsatisfying to the audience. Instead, you’ll want a conflict that allows your protagonist to explore their issue. If your character is motivated by a desire to take back their rightful place on the throne, then a complex political drama where monarchs are crowned or broken would be an excellent external conflict. If your character is motivated by love, then their beloved signing up with a local resistance group will get things moving quite nicely. If you’re using a flawed character, the process is a little more complex. The external conflict must bring out the flaw in a detrimental way to the point that it threatens to overwhelm the character’s more positive attributes. If your character is arrogant, it won’t do just to have a conflict where they must fight a series of more and more powerful opponents. At that point, arrogance might actually help. Instead, the character must face a very complex but infuriating problem, at which point their arrogance makes them think a brute force solution will work but in reality it makes everything worse. Whatever this conflict is, it’ll occupy your protagonist for most of the story and help keep you from slipping into obsessive naval gazing. In most stories, the protagonist would name the external conflict if asked what drives them, because few people are self aware enough to know their own internal conflicts. Heartbroken, General Nika is exiled from the capital to command a distant border fort. The hurt is still raw, and she does not take well to her new circumstances. Before she can adapt to her exile, Nika gets word that a hostile neighbor has invaded from the west and conquered the capital. The royal family, including Prince Hasan, has been taken prisoner. While the enemy’s official line is that the captured royals are not to be harmed, Nika’s spies report that the minds behind the invasion will soon arrange for an “accident” to befall the Prince. As her kingdom’s highest surviving military officer, Nika is now in charge of repelling the invasion. This conflict brings Nika’s flaw to the forefront, as she becomes convinced that once she rescues Hasan, he’ll realize it was wrong to leave her. 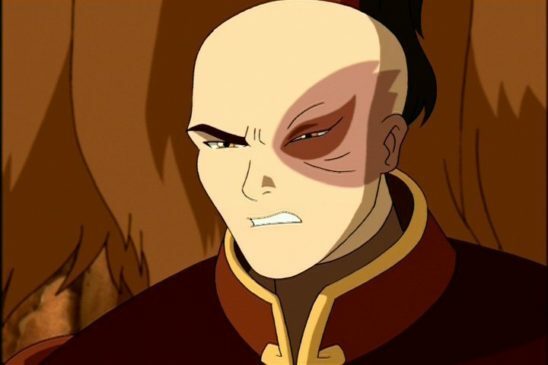 In Avatar, Zuko struggles with his anger for three entire seasons. Your protagonist now has an external conflict to address, but that can’t be all they focus on. If the protagonist goes the whole plot without struggling with their internal problem, then the story will wither on the vine. If you’re using a motivated protagonist, the simplest method is to put more obstacles in the way of their goal. For a character motivated by romance, seeing their beloved approached by a total dreamboat will do a great job of turning up the pressure. Another option is to make the protagonist doubt their own commitment. If they have a conversation with said dreamboat and the fellow turns out to be both honorable and capable, that can give the protagonist a lovely dose of self-doubt. Motivated protagonists can also struggle by having their commitment tested. A great way to do this is to put the character in a situation where the only way to accomplish their goal is a major sacrifice. If a character is questing after their lost place in high society, perhaps they’re offered a chance to attend a major party, but the only way they can afford to go is by selling off their family keepsakes. A flawed protagonist might struggle with their issue by catching a glimpse of how their flaw is detrimentally impacting others. A character whose flaw is their vindictiveness might physically attack their rival over a heated dispute, only to later learn that the character’s dear friend was badly beaten in retaliation. This sends the character into a bout of introspection. It won’t be enough for them to overcome their flaw yet, but it opens a redemption door they might later be able to walk through. As before, it’s important for you to know in this stage which direction your character’s arc is going. Will a motivated character get what they want or learn that they can live without it? If it’s the former, it’s vital to use this stage to make the protagonist’s goal desirable. If it’s the latter, now is your chance to show how the character’s obsession is destroying them. Flawed characters who are aimed for redemption should demonstrate at least some degree of self-awareness by this point, questioning their own behavior and wondering what they could have done differently. On the other hand, flawed characters destined for a long fall will shrug off their struggles as a necessary cost. You’ll also want to combine this section with the story’s external conflict. Ideally, the protagonist should be struggling with both internal and external problems at the same time. That’s why it’s so important that the external conflict resonates with the internal one; otherwise you’ll end up with a story that constantly switches gears, and the audience will notice. It’ll feel hopelessly contrived if there’s one chapter where the protagonist looks inward, then a chapter where they look outward, and back and forth. General Nika’s first attempt to retake the capital is repulsed by the enemy. As she regroups, a number of important officials who fled the invasion offer to join her. Among them is one Minister Altair, who brings important political connections with him. He convinces reticent territorial governors to open their coffers for Nika’s army, and Nika warms to him. Then, Nika discovers that Altair is the man Hasan left her for. That hurt is still fresh, and now Nika is torn between her need for a useful ally and her intense jealousy. Nika has to leave some of her feelings behind if she wants to accomplish her external goals. 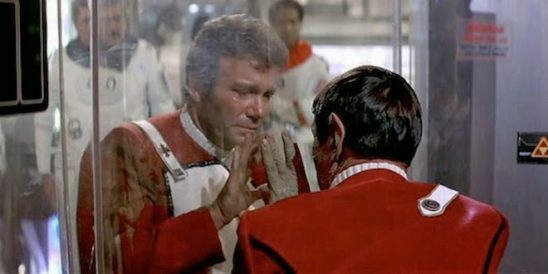 In the Wrath of Khan, Kirk’s flaw of overconfidence is addressed in the climax by Spock’s death. If your protagonist’s internal problem is really the driving force of your story, you’ve got to resolve it in the climax. Otherwise it’ll be a lot of buildup for no payoff. Even if you describe a really good final battle, if your character’s emotional troubles aren’t resolved, it’ll feel hollow. In the best case scenario, you’ll weave resolution of external and internal problems together as one. For a motivated character, the climax is when the audience finally learns if the character will get what they want or not. For a character who was motivated by a desire to be the best wizard in school, the final battle gives them an opportunity to outshine their rival. Depending on the kind of story you’re telling, the character might seize their opportunity and finally be recognized for their skill, or they might realize that their personal glory is less important than winning the external conflict. In the second case, the character might take on some vital but less prestigious task, leaving the credit to their rival. For a flawed character, the climax is either their moment of redemption or the sharp stop at the end of their descent. If a character’s flaw is a love of violence, then redemption can be had by turning down an opportunity for slaughter. This should line up with their previous struggles. Perhaps they arrive at a rival’s home armed for battle, but at the last second they realize how many of their friends will be killed if they start this war. On the other hand, a flawed character who is doomed to finish their long fall should be given a clear chance to redeem themselves, and then refuse it. If that same character arrives at their rival’s home, their best friend should show up and make a final plea to turn back. The character ignores their friend’s good advice and attacks the enemy. In the resulting battle, the character loses their life, a casualty of the flaw they could not overcome. General Nika’s forces storm the capital, protecting civilians and pushing the enemy back. She leads the charge to liberate the palace herself and arrives just in the nick of time to prevent the royal family’s execution. Then she watches Hasan and Altair passionately embrace, obviously in love even to her eyes. Solemnly, Hasan bows to Nika and offers the royal family’s gratitude. In payment for her deeds, Nika can ask for any favor in his power to grant. She could ask for their marriage to be restored, and Hasan would grant it. But seeing Hasan and Altair together has made Nika realize she was longing for something that wasn’t hers. She returns the Prince’s bow and says she will always be his humble servant. Character-driven stories are powerful, but they’re also very difficult. They require a much better understanding of what makes a character tick than stories that focus mostly on external conflict. It’s also possible to go too far inward, resulting in a story that feels self obsessed rather than compelling. But once you learn the secrets of a character-driven story, your characters will take on a new life, elevating your writing along with them. And no doubt stories I’ve written as well. That’s interesting to know. I’m friends with someone who’s a writer named Rebecca and she might like this. I would totally read that example story, haha. This article was super useful! Gave me lots of ideas for scenes to use to bring about the next step in my characters’ development. Awesome, I’m glad you enjoyed it and that you found it helpful. In Star Trek: Into Darkness, although Kirk was a bit flirtatious, he was willing to sacrifice himself in order to save the crew, which lead to (surprisingly) Spock being pissed at Khan. How bizarre is THAT?